Picture yourself in the evening arriving home and opening up the ranch sliders to the sun setting over Viaduct Harbour from your west facing deck, pouring a glass of wine and wondering how it came about that you were able to secure this piece of paradise that sits proudly overlooking one of the most beautiful silhouettes that is possible from an Auckland apartment. 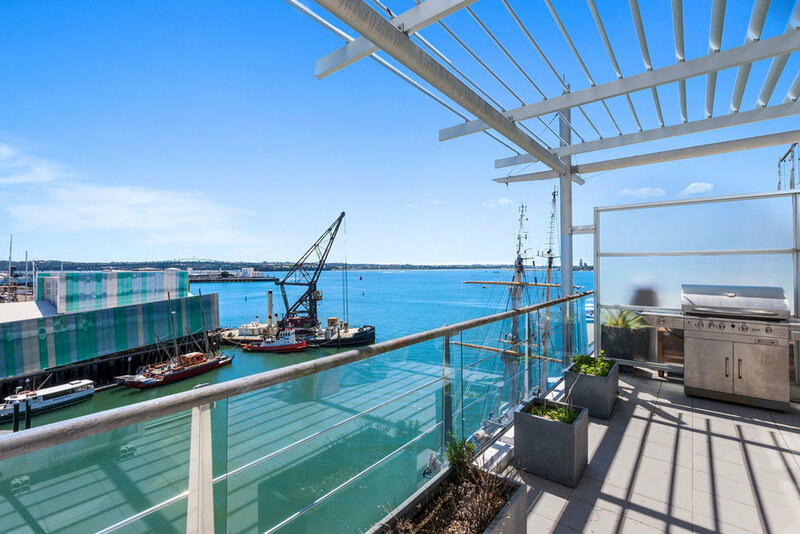 Princes Wharf extends from the central Auckland Viaduct far out into the ocean and offers some of the finest waterfront living Auckland has to offer. 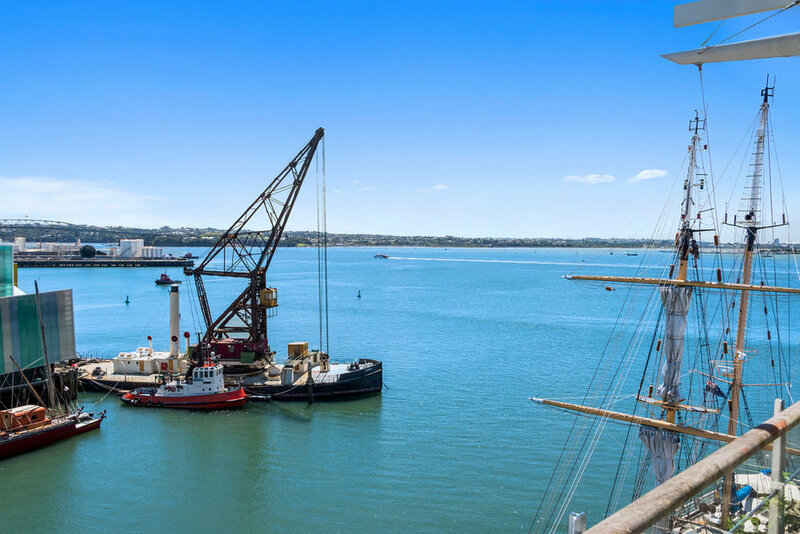 Premium apartments sit on the waters edge and you could be forgiven for feeling like you are on board a luxury cruise liner. This lovingly decorated two bedroom apartment has been kept meticulously by the owners who have lived onsite but are now ready to share their experience with the lucky new buyer. The apartment is laid over approx 108 square metres with a gigantic deck that spans the length of the lounge and the two generous bedrooms also open out to the deck. The external design cleverly features an area that is covered, as well as a completely open deck space to capture the sun if that is enticing. The lounge is open plan with a kitchen that is practical and there’s a separate laundry; uncommon with apartments. The master bedroom features a large walk in wardrobe and private bathroom – with a bath and of course there’s a second bathroom. To top off this arrangement there is one secure car park and a storage locker.